John Kenneth Muir's Reflections on Cult Movies and Classic TV: Reader Top Ten: Your Ten Best Horror Films 1960 - 2000? Reader Top Ten: Your Ten Best Horror Films 1960 - 2000? This month's Reader Top Ten is here at last, and in the spirit of the month of October and Halloween, we're side-stepping over to horror films. The question this month is very simple: What are your choices for the top ten horror films of the span from 1960 to 2000? For me, this was a difficult list to compile, and it certainly reflects my bias towards the 1970s as the golden age of horror. So think about your lists, and e-mail them to me at Muirbusiness@yahoo.com. I will post them throughout the week. Then, on Sunday, I'll post Reader Results! An oddly whimsical and emotional horror film, Phantasm plays like the subconscious fantasy of a lonely kid (Michael Baldwin) attempting to make sense of all the death around him, in his town and in his family. 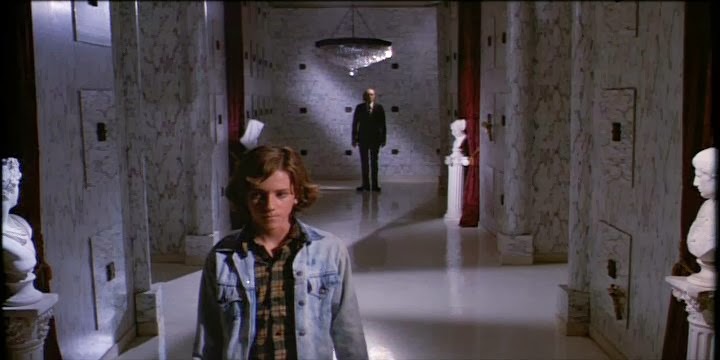 Surreal and creepy, Phantasm reminds us that we all construct intricate mythologies around mortality. That's what the film is: Michael's carefully-constructed mythology about a monster that he can defeat (The Tall Man); so he doesn't have to face the monster he can't defeat: mortality itself. This gory zombie movie is a metaphor for conspicuous consumption in Carter's crisis of confidence age. A group of zombie-apocalypse survivors seek refuge in a fully-stocked mall, and promptly start shopping rather than killing zombies. Director George Romero’s point: shopping is the opiate of the masses. Instead of facing the real problem -- the end of the world -- it's easier to fight over who gets to own the grocery store. Pauline Kael described this adaptation of Stephen King’s best-seller as a dirty joke stretched to feature film duration. Carrie reveals director Brian De Palma at his malicious best, and two set-pieces are the stuff of horror legend: Carrie’s (Sissy Spacek) prom night, and Sue Snell’s (Amy Irving) visit to a cemetery. The film finds the best visual possible to convey Carrie's telekinetic power, the cause-and-effect duality of split-screens. 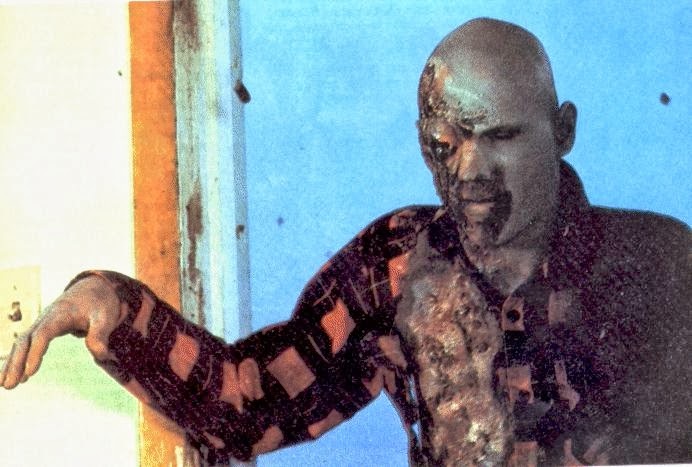 Also the film's last kick, or sting-in-the-tail may simply be the best and most effective one in horror history. This P.O.V. movie about film students lost in the woods actually concerns the ways we see and process modern media, and the artificial filters we erect so as to reinforce the belief that we’re safe or otherwise removed from danger. 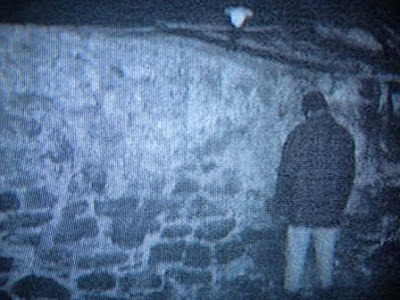 The BWP initiated the modern found-footage genre, and the makers of Paranormal Activity should be grateful for that fact. This Ridley Scott film transformed outer space from an optimistic, Kennedy-esque realm to a blue-collar world of “space truckers.” Alien also highlights a monster like no other; one always changing shape, and always out-thinking its unlucky human prey. Alien introduced audiences to Sigourney Weaver as the genre’s first female icon: Ripley. This William Friedkin film concerns a demonically-possessed child, Regan (Linda Blair). Though attacked as immoral by Billy Graham, The Exorcist’s implication is plain: If the Devil exists, then so must God. 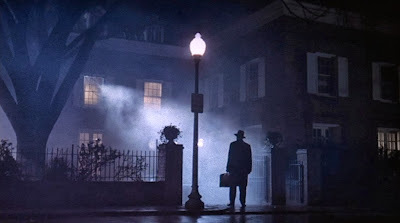 Remembered for its climactic pyrotechnics and green pea soup, The Exorcist thrives on a documentary-style approach that makes visits to an archaeological site in Iraq and a Georgetown hospital as fearsome as any encounter with the supernatural. Hitchcock initiated a new horror film era with his tale of Norman Bates (Anthony Perkins), a murderous Mama’s boy. Psycho is important historically because of the “Janet Leigh Trick,” which forces audiences to switch points of identification half-way through the film. The notorious shower scene, a masterpiece of shock cutting, also debauched audiences of the day. 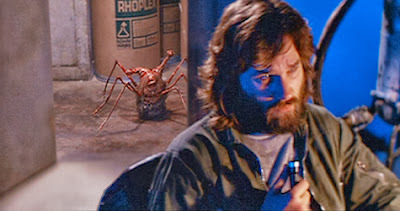 Once derided by film critics and audiences, John Carpenter's The Thing is an ahead-of-its time masterpiece, one that pits alienated humankind against a cunning alien in a constant state of flux. Where man is fragile, the Thing is strong, able to re-shape its flesh and very tissue to fool its enemies. Bolstered by pioneering special effects and Carpenter's brilliant presentation of a claustrophobic, bleak setting, The Thing is one of the greatest horror films ever made. This anarchic film from Tobe Hooper concerns a family of cannibals in Texas who live off what the land provides…mainly sight-seeing hippies. The film shatters the conventional three-act narrative structure with its singular paradigm of “no learning.” This means that the plot doesn’t develop. This means that the characters don't learn. This means that there is no closure or resolution. 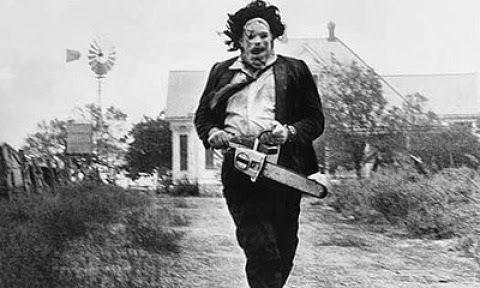 Instead, the story just twirls and twirls madly, like Leatherface’s valedictory dance with his chainsaw. 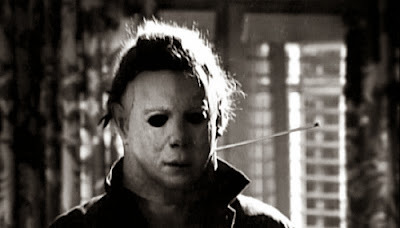 John Carpenter’s Halloween succeeds as an artistic vision because of its villain: Michael Myers. Behind that white, blank, Rorschach Test mask, this “Shape” could reflect any audience or societal fear. Michael might be a developmentally-arrested kid, an embodiment of the out-of-control Id, or…The Boogeyman. 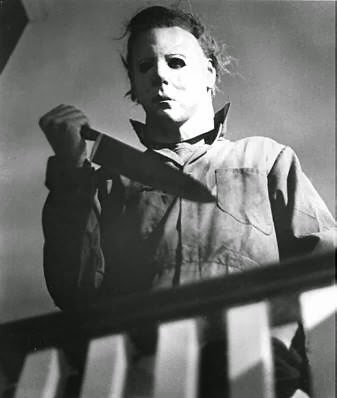 A meditation on un-classifiable “Evil” in a modern society that believes it can diagnose everything, Halloween remains unmatched in terms of slasher films. The titles that just missed my top ten were A Nightmare on Elm Street (1984), The Haunting (1963), The Evil Dead (1983), Night of the Living Dead (1968), Rosemary's Baby (1968), and Aliens (1986). I can't wait to read your lists! Oh god John this is the most impossible top ten to compile. 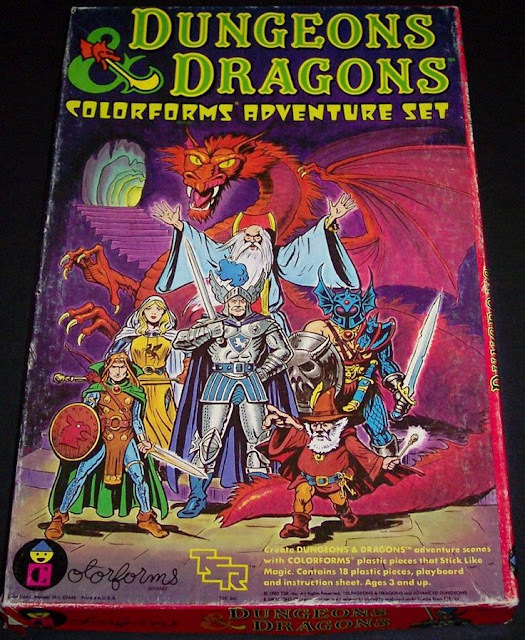 Going to have to think long and hard about this one. John excellent choices on your list. Two are on my list.